We have extended our market leading AV range with the launch of a new EN54-23 approved Intelligent Visual Alarm Device (VAD). Suitable for both wall and ceiling mount, our new VAD is the ideal solution for applications where ambient noise is high and the deaf or people with hearing difficulties may be alone. If you want to find out more about these AV devices the links below will open the Datasheets in PDF format. 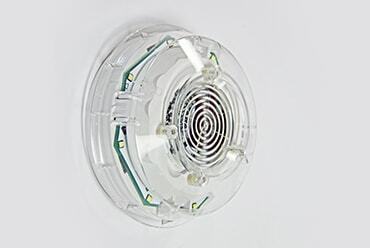 The conventional beacons feature high output LEDs, advanced optics and an innovative lens design, providing outstanding Omni-directional light coverage at low current draw. Specifically designed for, and approved to meet EN54-23, the beacon delivers outstanding quality, reliability and long operational life. 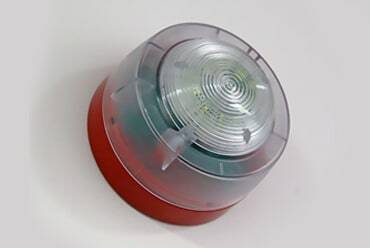 The Conventional Sounder Beacon is ideal for applications where a dual purpose audible and visual alarm device is required. 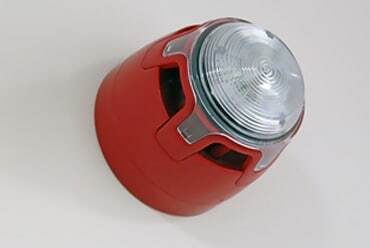 Specifically designed for, and approved to meet EN54-23, the Sounder Beacon delivers outstanding quality, reliability and long operational life. To help define your VAD requirements in line with the new EN54-23 standard, we have developed an easy to use online guide. 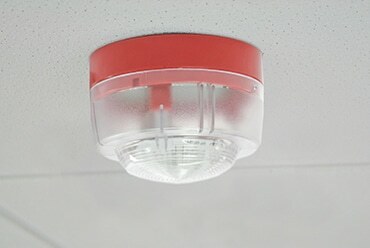 EN54-23 is a new European Fire Standard outlining the performance requirements for Visual Alarm Devices (VADs), It outlines minimum light output in order to ensure safe evacuation for all building occupants. Compliance became mandatory from January 2014. 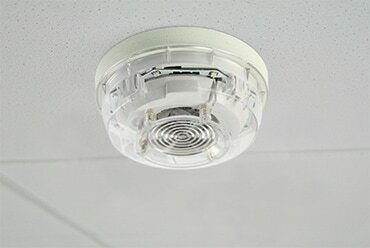 EN54-23 affects all fixed installation pulsing or flashing devices that use software for their operation, e.g. 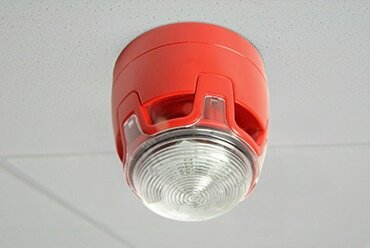 LED, Xenon or rotating beacons. How large is the area covered? Please be mindful of the mounting heights specified on the results screen as these are restricted by certification. Do you want to take ambient light into account? * This tool is intended as a GUIDE only. Other factors such as room configuration will have an impact on the overall number of devices required.